Lexington, KY — Headquartered in America’s Rust Belt, MakeTime Inc., the first virtual machine shop of CNC machining services from qualified U.S. suppliers, recently launched a new distributed manufacturing platform that removes friction from traditional supply chain management. Dubbed the “AirCNC” of manufacturing, MakeTime® relies on a collaborative consumption model to match jobs to available machining capacity in a $2.1 trillion U.S. market, where both capacity shortages and underutilization are simultaneously the norm. MakeTime® reduces time-to-market by up to 80% by replacing outmoded business processes, like time-consuming RFQs, with intelligent automation that quickly assetizes unused capacity for R&D job fulfillment to full production scale. Simply stated, purchasers upload a project, suppliers list their machines and available capacity, and MakeTime® uses an automated process to match them. MakeTime® charges no upfront fees to engage on our platform and shares a percentage of the overall project cost with suppliers. This means growth for the American supplier base as well. “MakeTime® has helped us grow our business without hiring outside salespeople. We’re always looking to diversify, and MakeTime® enables us to tap into a much larger customer base,” said Greg Richardson, owner and vice president of operations at 3D-Machine, a Georgia-based supplier that has more than 30 years of experience servicing the automotive, aerospace, medical, and industrial equipment industries. On-demand access to jobs for suppliers and machine capacity for manufacturers is the new value for ownership in manufacturing. MakeTime® enables purchasers and suppliers to reap the benefits of a sharing economy by redefining the value of ownership, making the art of doing business more affordable and efficient. Purchasers get started by posting a 3D project file to the MakeTime® platform. We review the project for design for manufacturability before providing a fair market price and receiving payment via the platform. Next, we match the project to our available time listings, source materials and logistics locally, and provide project management at every step to ensure that purchasers receive their parts on time and with the quality that they expect. Our model also allows purchasers to secure CNC machining capacity in advance on the MakeTime® platform for forecasted projects. We currently have more than 12 years of 10-hour shifts available from qualified U.S. suppliers to provide flexible supply chain scale. With MakeTime®, purchasers no longer have to consider infrastructure and human capital investments to expand their business – they can instead invest those line items back into product development to bring more products to market faster. For suppliers, we offer access to mid-market and enterprise level purchasers who do not have a readily available supply chain for a line of business or who may need a more responsive solution than what their existing supplier relationships offer. 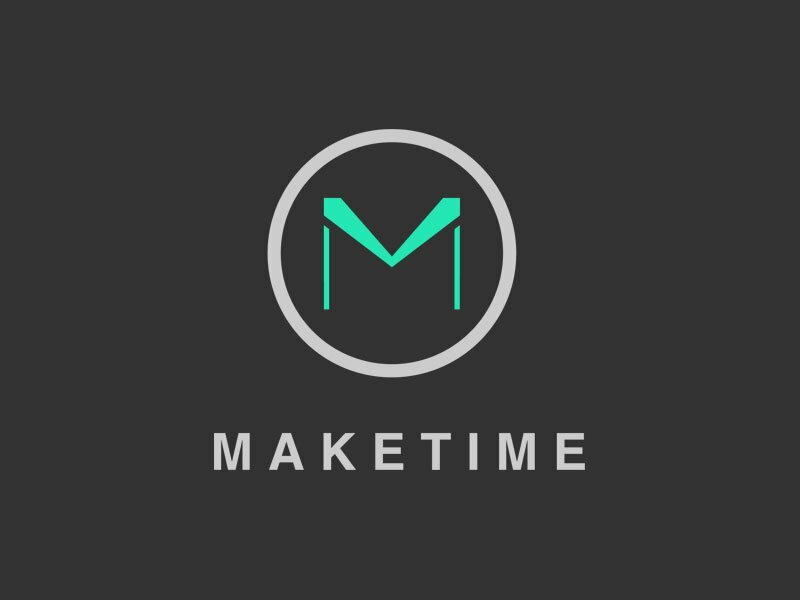 The MakeTime® platform includes upfront services for cost estimating, file preparation, payment management, materials procurement, logistics scheduling and other value-added services from leading manufacturing providers so that suppliers can focus on driving revenue from their available infrastructure while minimizing the costs of doing business. In addition to CNC machining assets, the MakeTime® platform includes a growing ecosystem of manufacturing services from industry leading providers. As a Forge partner with Autodesk® Fusion 360™, MakeTime® closes the loop from CAD/CAM design and simulation to production, creating an end-to-end solution for manufacturing in the cloud. Users can upload a project to MakeTime® directly within Fusion 360 in one step and continue to iterate on the design while their previous iterations are matched with suppliers. MakeTime® has also partnered with aPriori for cost estimation and other leading manufacturing service providers and materials and logistics networks to offer a complete marketplace solution for manufacturing. MakeTime® is the first virtual machine shop of turnkey CNC machining from qualified U.S. suppliers that matches projects to production capacity and integrated manufacturing services. Our collaborative consumption model replaces outmoded business processes, like time-consuming RFQs, and mitigates supply chain risks to ensure quality and on-time delivery. Founded in 2014, MakeTime® is based in Lexington, KY. Learn more at www.maketime.io.